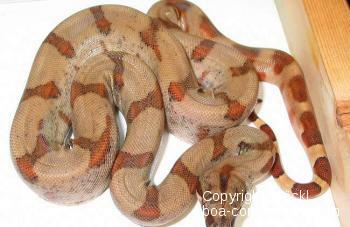 Boa c. sabogae (Pearl Island boa) occurs (occurred?) on islands of only a few acres in size off the coast of Panama. Back in 1999 a reptile zoo in Costa Rica got the permission to catch 6 specimens of this rare Boa constrictor subspecies. Despite several trips to the islands, the runner of the zoo was able to find only 5 subadult specimens. He reported that the natives kill on sight any snake that they encounter, which results in most specimens being unable to reach sexual maturity. Due to the small size of these islands, the sabogae boas barely have a chance to avoid detection by the natives. In addition, one of the Pearl Islands was recently devastated by a wild fire and another fell victim to a fish processing plant, which destroyed much of the natural habitat of the Pearl Island boas. It is therefore rather dubious whether there are currently any healthy populations of this rare boa subspecies in existance. To our knowledge, there is only this wildcaught bloodline whose origin from the distribution area is proven and can be documented. 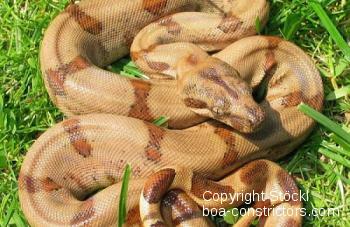 Boa c. sabogae is the most scarce and most expensive pure Boa constrictor subspecies worldwide. 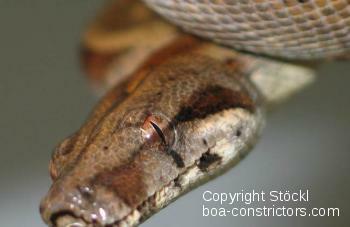 Before acquiring such an animal you should make sure that the offered boa is actually a Boa c. sabogae. The only captive kept Boa c. sabogae worldwide whose origin from the distribution area is 100% proven (legally taken from the wild and equipped with the corresponding paperwork) are the wildcaught specimens from a zoo in Costa Rica and the offspring of these animals. evidence has been presented that these animals are Pearl Island Boas as well. 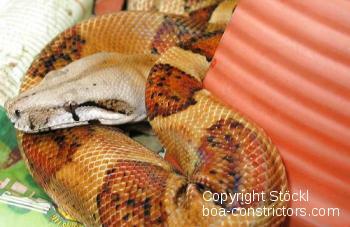 These boas have been exported in 2004 with the help of the runner of the aforementioned zoo. We don't know if further exports have taken place in the meantime. The photos below are a lucky strike for our website and all boa constrictor enthusiasts. The photos were taken in Punta Coco, that's in the southern part of the Isla del Rey, the largest of the Pearl Islands. Keith Alpaugh, who leads a development project there, has made the photos. We appreciate that he put it to our disposal. Mr. Alpaugh reported that his workers, as well as all the other inhabitants of the island, kill a boa on the spot when they come across of one. Mr. Alpaugh has instructed his workers to refrain from doing so in the future. In the photos you can cleary recognise the optical variation of this subspecies: there are dark, rather dull specimens and very bright, hypomelanistic ones. 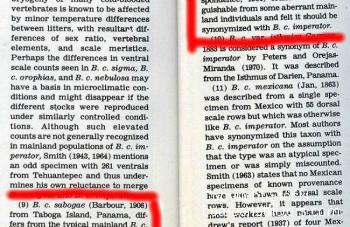 The same range is found in the Sabogae from the Taboga islands. There is no difference in appearence between the boas of these two distribution areas. The boa feeders in these parts should take a close look at the photos. 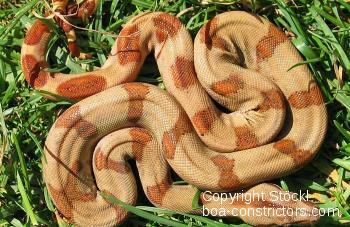 The boas in the wild don't look like full stuffed Bavarian veel sausages, as most of the boas in captivity.